Number facts and number lines made fun! 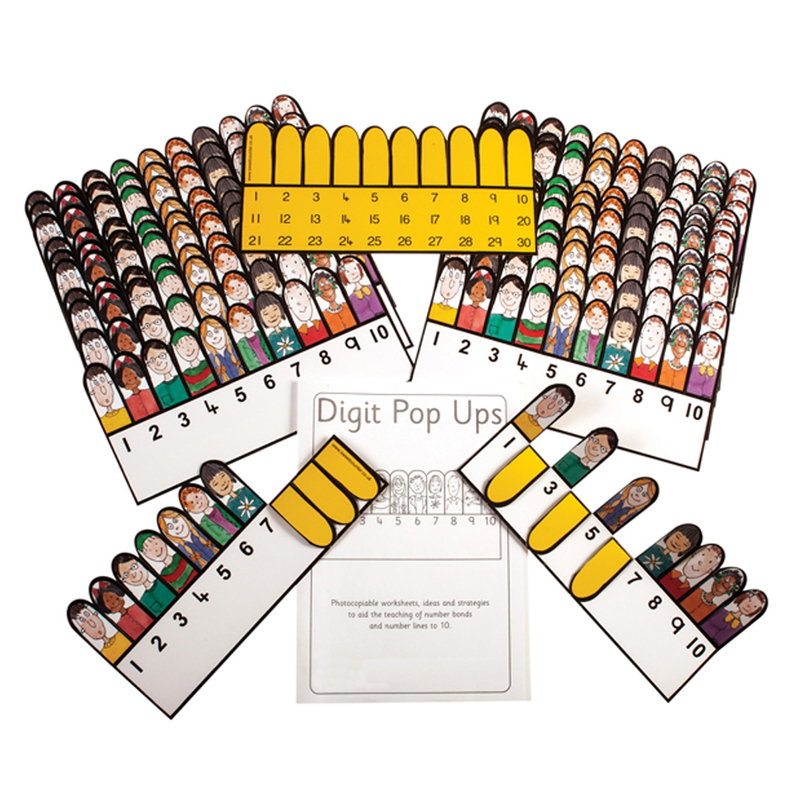 Ten people ‘pop up’ to reveal the number, or ‘pop down’ to hide the number. Attractive multi-ethnic characters appeal to children. 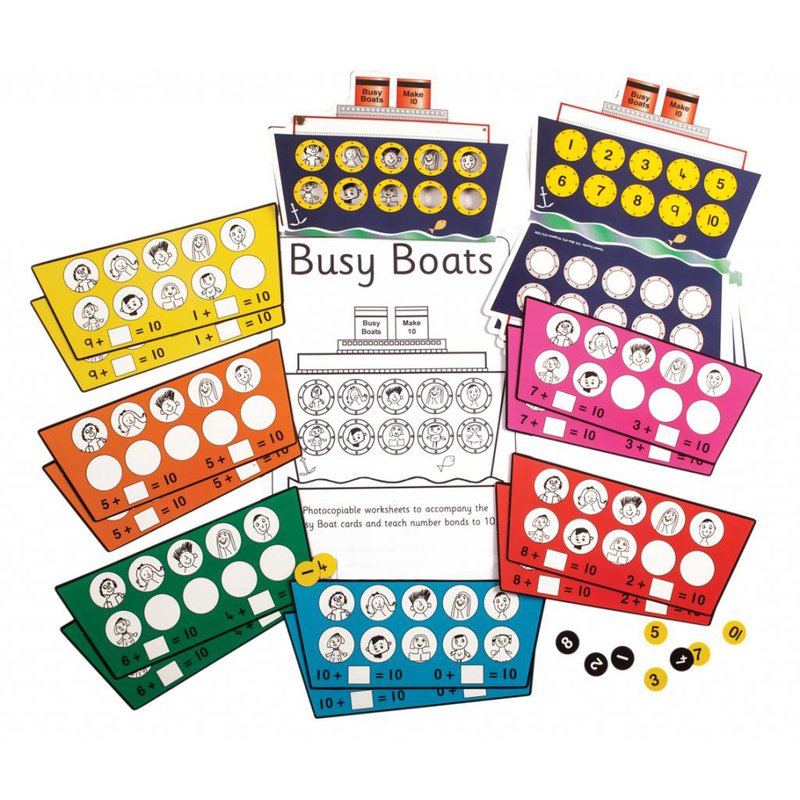 Ideal for addition, counting on and making more, or subtraction, counting back and making less. ‘How many more’ make a number is easily demonstrated. 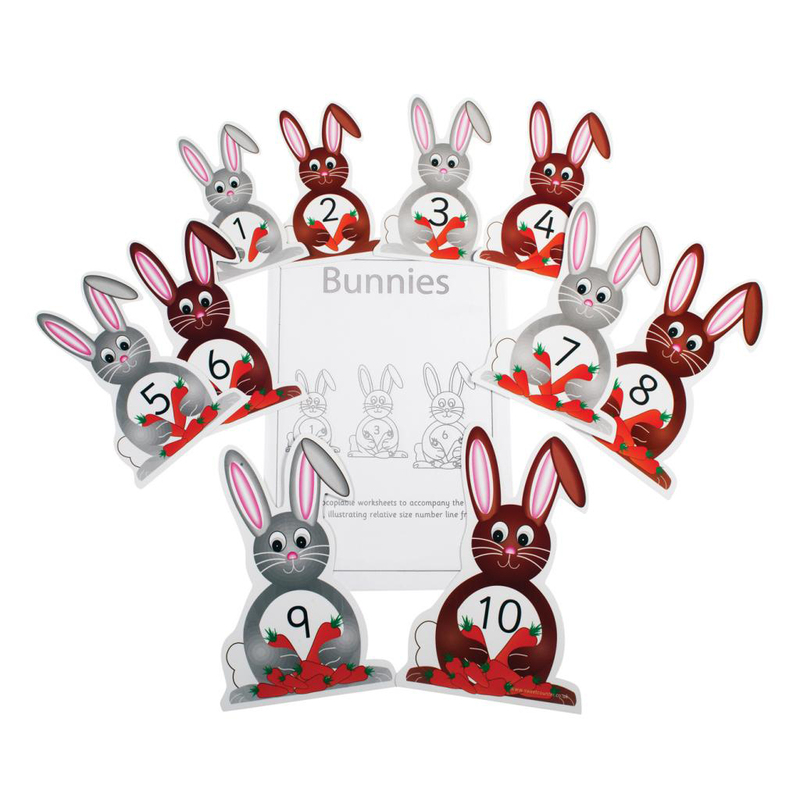 Ideal for odd and even numbers, and missing numbers. Double laminated. 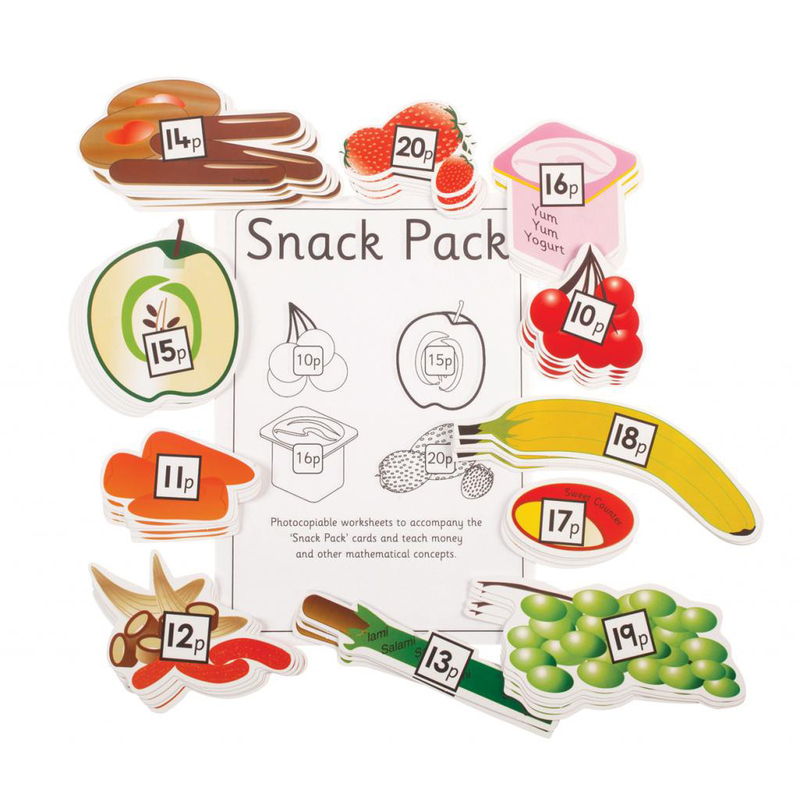 Set includes 25 pop ups, 15 number line/towers, 15 reference cards and 32 page worksheet booklet.